Lot 493. 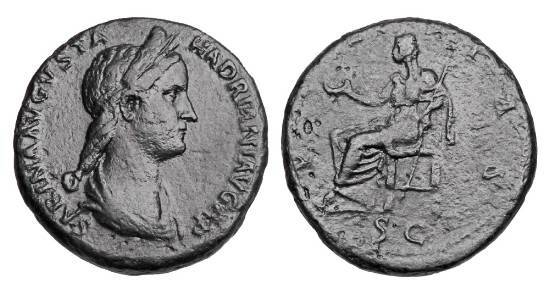 SABINA, wife of Hadrian, 117-137 AD. Æ Dupondius.